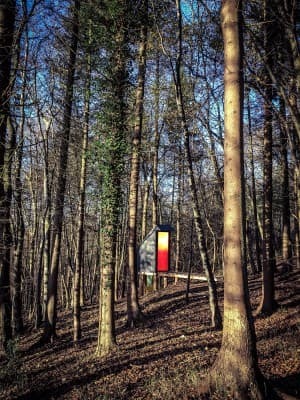 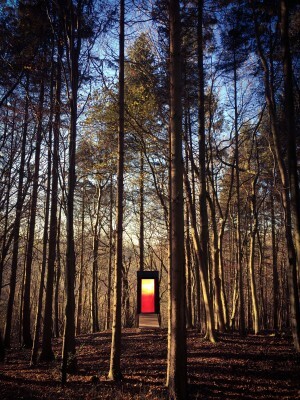 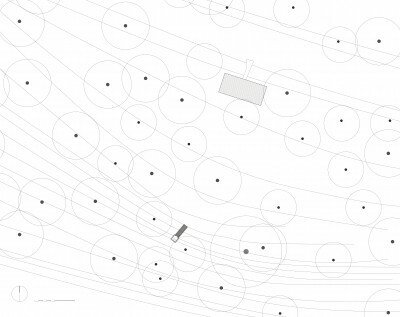 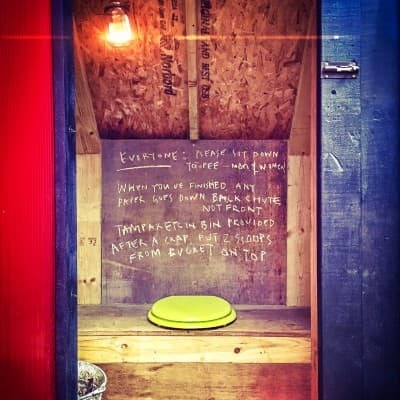 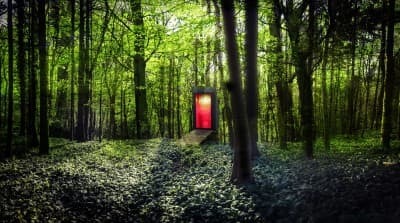 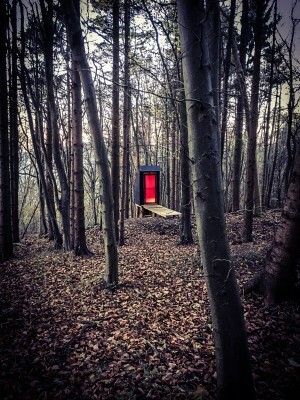 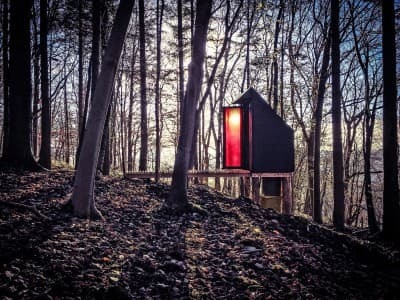 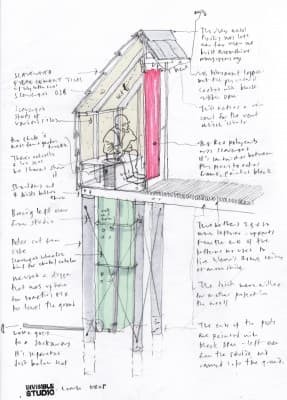 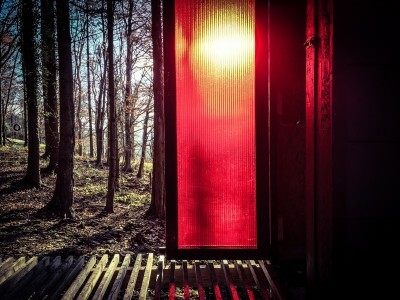 The Long Drop is a no-cost, no-impact composting toilet made for and by Invisible Studio to serve their woodland studio. 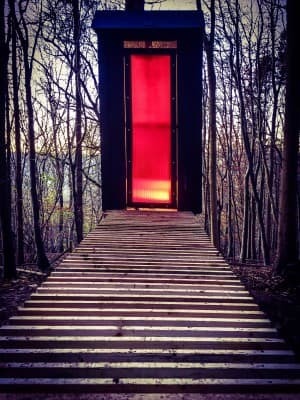 It was made entirely from scavenged material, and cost nothing to build. 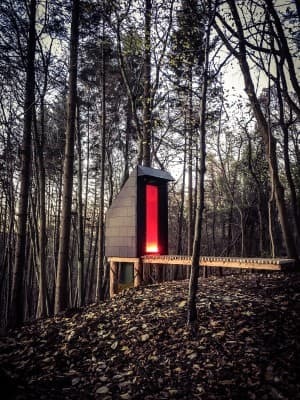 The toilet was designed around available material. 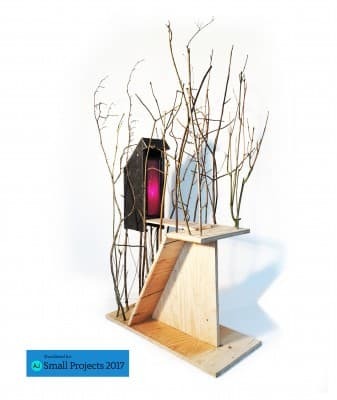 The studwork, battens and sheet material were all left over from other projects, and are of varying sizes. 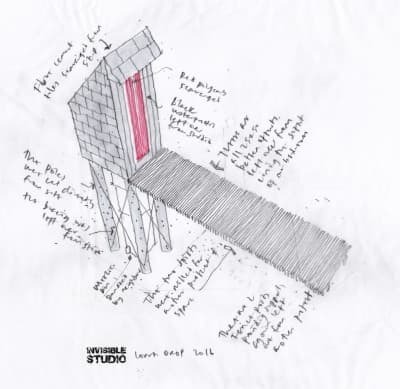 The poles were cut on site, and braced with offcuts from the steel black bar bracing used on out studio. 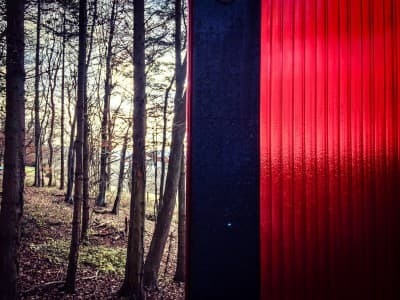 The flashing piece at the ridge was left over from when we built ‘Moonshine’ close by, and the polycarbonate for the door and the black fibre cement tiles were scavenged from skips. 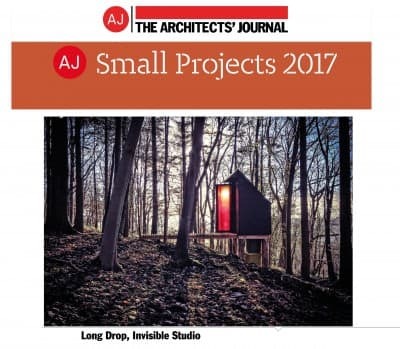 The Longdrop has been shortlisted for the AJ Small Projects Award.